Apple is reportedly cutting iPhone 5c production in half from 300,000 units to 150,000 units per day, according to claims by C Technology [Google Translate], which leaked a number of photos of the iPhone 5s and iPhone 5c ahead of their launches last month. As highlighted by Unwired View, gray market pricing for iPhone 5c units has also been falling as availability has remained solid. The official price of iPhone 5c in China is 4448 Yuan ($726). But there is a thriving grey market over there, with iPhones bought in the U.S, Europe and Hong-Kong, illegally smuggled into the country. With real people taking real risks with their real money, this market is very sensitive to the real demand for any gadget, and very quick to adjust prices accordingly. Care to guess the current price of unofficial iPhone 5c in China? 3000 to 3300 Yuan ($489-539), according to checks done multiple by local tech sites, and a quick review of offers on China’s main online marketplace – Taobao. That’s a drop of 30% below the official price. And, according to some sources, you can now sometimes find iPhone 5c as cheaply as 2600 Yuan. The iPhone 5c has been available in much greater supplies than the iPhone 5s, which continues to be difficult to find and for which gray market prices in China remain high. There has, however, been some dispute about how much of the plentiful iPhone 5c supplies might be due to weak demand and how much is a result of Apple simply having been able to ramp up production sufficiently to meet early demand. While a decrease in iPhone 5c production would be a signal that Apple has plentiful supplies in its distribution channels, it is not necessarily an indication that the company significantly overestimated demand for the device, which retails for just $100 less than than the iPhone 5s. Apple no doubt ramped up production leading up to the iPhone 5c launch in order to meet pre-order and launch-day demand while also shipping a significant number of units into its distribution channels to stock retail locations for sales in the following weeks. Apple was unable to make a similar production ramp for the iPhone 5s, reportedly due to fingerprint sensor shortages, leading to very tight supplies that continue to be an issue three weeks after launch. 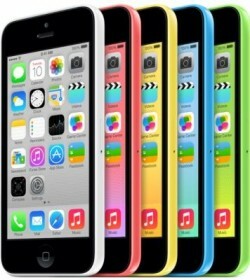 Apple will certainly be adjusting its iPhone 5c production orders to meet customer demand as it did by immediately boosting gold iPhone 5s production, but it is unclear whether the currently alleged iPhone 5c production changes have been part of Apple's strategy all along or if they are a response to weaker than expected demand. I don't know who in their right mind would by a 5C when it's only $100 cheaper than a 5S. Given the difference in performance/features the 5C is really poor value. I don't get why anyone would buy this cheap-looking expensive phone when the 5s is just $100 more. Seriously, if you can afford 5c then you can afford the 5s. 5s is sooo much better. 1) I enjoy the colored back of the phone. It brings a splash of color to a line of products that has been dull for so long. 2) The rounded polycarbonate back of the phone is more pleasant to look at and hold as compared to the cold, industrial looking and feeling 5s. 3) I saved $100 by going with the 5c. That money allowed me to purchase Applecare+ for my phone. 4) I'm not the shallow sort of individual that cares what other people think about the phone I use. I mean, really? Grow up, people. If you think my phone is "cheap-looking" I don't really care. Whatever makes you feel superior, man. This has been a rare failure by Apple. I can't see why they didn't see this coming. They need to come off their high horse. So cutting back to 150,000 per day is only 4.5 million per month. At $550 each that means revenue per quarter on this one item is only about $7.4 billion. they want a cheap-'ER' iPhone period !. Apple should have just released the 5s, but cut the price by $150-$200, more phones in people hands, more profits via the extras and iTunes store app purchases. The "c" is still to expensive to be considered a "Cheap" phone, and its not that big a jump to a "s". Now, had apple got the "c" out there at the $350 mark "off the shelf" sim free, or free with a 12 month contract... i could have seen myself picking up a "c" as a refresh if the price was around that $350 sim free, so when my contract renews i get the 6 for free, but in the meantime i get a new phone for the year.